A New Space Trek episode coming! Come back this Saturday, April 19th! (3pm) It will be the third in this series. 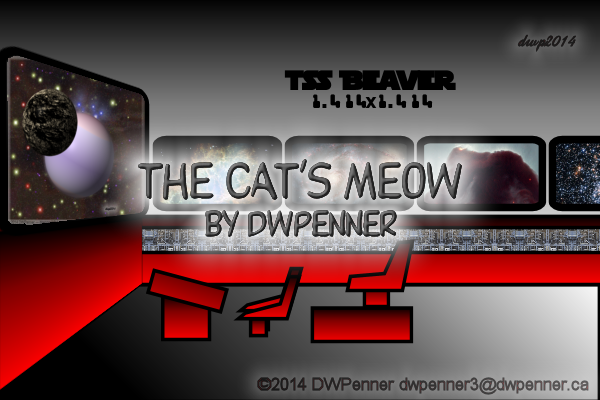 This entry was posted in Cartoon Strips, Notes, Writer's Words and tagged Cartoon Strip, Comic, Comic Strip, Darrell W Penner, DWP, DWPenner, farce, Gnome Tapestry, satire, science fantasy, science fiction, Science Fiction Farce, Space Trek, suspence, The Cat's Meow, Timer, TSS Beaver by DWPenner. Bookmark the permalink.